TORONTO, April 12, 2019 /CNW/ – Horizons ETFs Management (Canada) Inc. (“Horizons ETFs“) has announced a change to the risk rating of the Horizons Inovestor Canadian Equity Index ETF (“INOC“), from “Medium” to “Low to Medium“. The change in risk rating is effective immediately. No changes have been made to the investment objectives or strategies of INOC as a result of the changes to the risk ratings. A summary of the risk rating classification methodology, and the investment objectives and strategies of INOC, can be found in INOC’s most recently filed prospectus. Horizons ETFs Management (Canada) Inc. is an innovative financial services company and offers one of the largest suites of exchange traded funds in Canada. The Horizons ETFs product family includes a broadly diversified range of solutions for investors of all experience levels to meet their investment objectives in a variety of market conditions. Horizons ETFs has more than $10 billion of assets under management and 86 ETFs listed on major Canadian stock exchanges. Horizons ETFs Management (Canada) Inc. is a member of the Mirae Asset Global Investments Group. With 25 years of experience in various senior positions including 15 years in equity management and 10 years in capital markets research, Christian brings extensive background and knowledge in equity investing. He currently oversees portfolio management activities for our Canadian equity strategy INOC:TSX. Christian holds a B.A.A. commerce from l’UQAM and a M.Sc. Finance from the HEC. traded funds (the “ETFs”) for the period ending March 31, 2019, as indicated in the table below. the applicable ETF, on or about April 10, 2019.
covered call ETFs in a separate press release. TORONTO, Dec. 20, 2018 /CNW/ – Horizons ETFs Management (Canada) Inc. (“Horizons ETFs“) is pleased to announce the distribution amounts per unit (the “Distributions“) for certain of its exchange traded funds (the “ETFs“), for the 2018 tax year end, as indicated in the table below. Each ETF is required to distribute any net income and capital gains that they have earned in the year. All of the Distributions indicated as “Cash Distribution per Unit” in the table (the “Cash Distributions”) will be paid in cash unless the unitholder has enrolled in the dividend reinvestment plan (“DRIP”) of the respective ETF. The annual non-cash Distributions, indicated as “Reinvested Annual Non-Cash Distributions per Unit (Est. )” in the table (the “Non-Cash Distributions”), will not be paid in cash but will be reinvested and reported as taxable Distributions and will be used to increase each unitholder’s adjusted cost base of their units of the respective ETF. The Non-Cash Distributions will be reinvested automatically in additional units of the respective ETFs and immediately consolidated so that the number of units held by the unitholder, the units outstanding of the ETFs and the net asset value of the ETFs will not change as a result of the Non-Cash Distributions. The annual Non-Cash Distribution rates in the table below are presented on an estimated basis. A press release confirming the final annual Non-Cash Distribution rates will be disseminated on or about the record date of the Distributions. The ex-dividend date for the Distributions is anticipated to be December 28, 2018, for all unitholders of record on December 31, 2018. 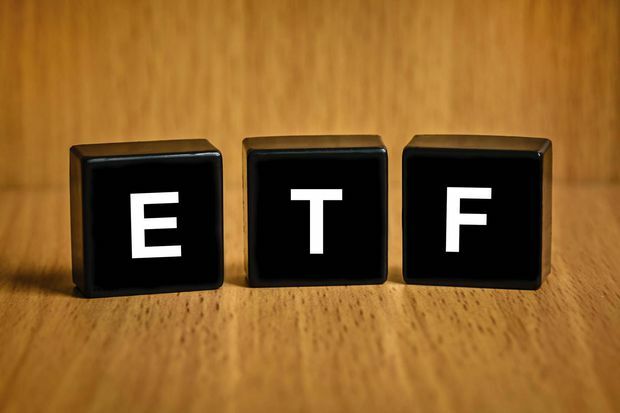 The Distributions for units of each ETF will be paid in cash or, if the unitholder has enrolled in the respective ETF’s dividend reinvestment plan (“DRIP”), reinvested in additional units of the applicable ETF, on or about January 11, 2019. Horizons ETFs has made an additional announcement regarding the December distributions for its family of covered call ETFs in a separate press release. 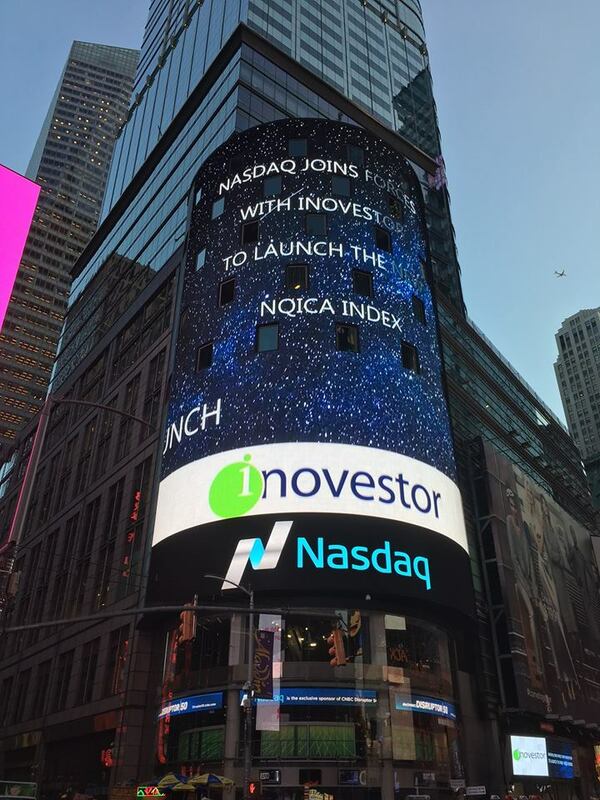 Due to your constant support with regards to the INOC ETF, the Inovestor team is proud to announce the launch of the Nasdaq Inovestor Global Index (NQIGLO) which will be replicating the strategy used in our US and ADR model portfolios. The index is composed of 50 stocks, half of the holdings are US and the rest are international. Due to the launch of the INOC ETF and the NQIGLO index, we are implementing a conflict of interest policy in relation to our various customers, suppliers and partners. We will now announce trades in our portfolios on the second Friday of the month after markets close. For more details on the rebalancements, do not hesitate to refer to this article in our support platform. For more information, please do not hesitate to contact us at service@inovestor.com or by phone on 514-287-0011 ext. 2, it will be a pleasure to respond to your questions. Markets are preoccupied with Keystone, NAFTA and the possibility of Trump’s tax reform going through. Fortunately, Keystone received approval this morning, but this will still be subject to legal skirmishing, so it’s not a done deal. A positive sign, in any sense. My sense is that if tax reform is stalemated, then the “Trump Bump” will be largely wiped off the market, but only temporarily. The fact is that markets have been rising because U.S. companies are making money, so any decline would, in my view, be a buying opportunity. In Canada, even if NAFTA were junked, trade would not stop, but negotiations would persist for months if not years amid much uncertainty. Nevertheless, I like the industrial sectors in Canada and the U.S.
John Hood, president and portfolio manager at J.C. Hood Investment Counsel, discusses his top picks: the BMO Equal Weight Industrials ETF, the Horizons Inovestor Canadian Equity Index ETF and the Industrial Select Sector SPDR Fund. I have been complaining on previous shows that there was too much redundancy among Canadian ETFs; most were 65 to 70 per cent financial, energy and materials. However, I had overlooked a small ETF from BMO (ZIN).This search was prompted by Horizons having just launched INOC, which includes industrials with consumer goods and services, some financials and tech. These two ETFs will fill in the blanks for those wanting ETFs that are not so overweight financials and energy. John Hood, president and portfolio manager at J.C. Hood Investment Counsel, discusses his past picks: the Questrade Russell 1000 Equal Weight U.S. Health Care Index ETF, the BMO European High Dividend Covered Call Hedged to CAD ETF and the Energy Select Sector SPDR. I sold the Questrade Fixed Income Core Plus ETF (QCP.TO), which was being merged into a Wisdom Tree bond ETF with overly long duration. Since Wisdom Tree acquired Questrades ETFs, it is unclear whether this ETF will continue or be substantially changed. I did not own any but had recommended it. I do not like the uncertainty. La branche canadienne du cabinet d’expertise comptable devient ainsi la plus grande force en juricomptabilité sur le marché québécois. PwC souhaite prendre de l’expansion dans un contexte de besoins grandissants et de plus en plus spécifiques de la part des clients. Tous les détails ici. Le fonds Catégorie de société sciences et technologies mondiales Signature a remporté trois prix, pour s’être classé en tête de liste, sur trois, cinq et dix ans, dans la catégorie Actions mondiales. Les gestionnaires de portefeuille de ce fonds sont Malcolm White et Jeremy Yeung, de l’équipe Signature Gestion mondiale d’actifs. Plus d’informations ici. Un montant égal au produit net du fonds doit servir à financer ou à refinancer, en totalité ou en partie, des éléments d’actifs admissibles, nouveaux ou existants, conformes au cadre de référence pour les obligations vertes de Manuvie qui vient d’être publié. Tous les détails ici. L’utilisateur peut désormais remplir automatiquement des fiches d’ordre pour les transactions. Grâce à l’affichage du portefeuille sous forme de graphique, il peut également rapidement voir les gains ou les pertes pour un titre individuel ainsi que pour l’ensemble du portefeuille et comparer et analyser le rendement de ses titres par rapport à d’autres actifs et aux indices de référence du marché. Plus d’informations ici. La Société a décidé d’abandonner la conception d’un nouveau système de comptabilité des fonds d’investissement. Après avoir procédé à un examen complet de la situation, elle opte plutôt pour une mise à niveau de son système existant, ce qui lui fera réaliser des économies substantielles, entre autres avantages. Tous les détails ici. Ce prix se base sur le caractère innovateur des initiatives et des réalisations des PDG et les retombées de l’administration sur l’organisation ainsi que sur sa contribution au rayonnement de l’industrie des technologies. Tous les PDG de PME en technologies sont invités à soumettre leur candidature avant le 8 janvier 2018 à minuit afin de faire reconnaître leurs réalisations ayant eu un impact significatif pour leur organisation. Plus d’informations ici. GPTD a reçu les approbations requises des porteurs de parts pour mettre en place la proposition sur les frais d’administration annoncée précédemment. Ces nouveaux frais d’administration seront payables par chaque Fonds à GPTD qui, en échange, paiera certains frais d’exploitation. Les modifications entreront en vigueur le 1er janvier prochain. Tous les détails ici. Le site offre une convivialité améliorée, une conception adaptée et un processus de plainte simplifié pour les consommateurs dans les deux langues officielles, ainsi que de nouvelles fonctionnalités pour les firmes participantes. Plus d’informations ici. • Vous voulez vérifier les soldes de vos garanties de Manuvie? Demandez-le à Alexa! Manuvie lance la fonctionnalité Manulife Benefits conçue pour l’assistant Alexa, d’Amazon. Pour faire le suivi du solde de leurs garanties de soins de la vue, de soins dentaires et d’autres comptes de soins médicaux, les participants à un régime d’assurance collective de Manuvie pourront poser des questions depuis tout appareil connecté à Alexa au Canada, et ce, à compter de décembre 2017. Tous les détails ici. Il a conclu pour cela un partenariat avec Inovestor. Le FNB Horizons Indice d’actions canadiennes Inovestor (INOC) est le premier fonds négocié en Bourse au Canada à offrir une exposition à l’indice Nasdaq Inovestor Canada à un coût avantageux. Plus d’informations ici. L’actif sous gestion a atteint 123 milliards de dollars, soit une croissance de 9 % sur douze mois. Les produits ont augmenté de 31 % sur la même période. Quant au résultat net ajusté par action, il s’élève à 0,27 $ au troisième trimestre, contre 0,25 $ sur douze mois. Tous les détails ici. Un partenariat qui intervient alors que l’industrie cherche plus de standardisation et de simplicité dans les outils technologiques utilisées par les conseillers. Kronos et ses logiciels sont nés et développés au Canada et sont spécifiquement conçus pour répondre aux besoins de l’industrie ici. Le CDPSF souhaite ainsi offrir à ses membres des services personnalisés, afin qu’ils puissent continuellement développer leurs pratiques. Plus d’informations ici. Le FNB Horizons Indice d’actions canadiennes Inovestor (symbole INOC), détenant un portefeuille équipondéré de 25 sociétés canadiennes de grande capitalisation soumises à un filtre de croissance positive et d’attributs de valeur, a été lancé aujourd’hui à la Bourse de Toronto. Le point de repère sous-jacent de ce fonds négocié en bourse est l’indice NASDAQ Inovestor Canada, dont la discipline quantitative ascendante est décrite comme la qualité à un prix raisonnable. L’indice a été conçu par Inovestor Inc., société affiliée au sous-conseiller montréalais Gestion de placements Inovestor.Reposant sur une approche multifactorielle, le processus de filtrage d’Inovestor cherche à identifier les sociétés canadiennes qui affichent un niveau élevé de « profit économique » et qui se négocient à des évaluations attrayantes. Conformément au prospectus, le profit économique d’une société est estimé en soustrayant son coût du capital de son profit d’exploitation net après impôt. Le premier filtre identifie les 100 premiers titres en fonction de leur profit économique. Ensuite, on calcule les pondérations sectorielles des 100 premiers titres. Ces pondérations sont appliquées de manière à sélectionner le portefeuille final de 25 titres. Un système de notation employant des critères à la fois de croissance et de valeur repère les meilleurs titres dans chaque secteur. Cet indice est rééquilibré chaque trimestre. À ce moment-là, de nouveaux titres peuvent être ajoutés au portefeuille et des titres existants peuvent être exclus, aboutissant à un nouveau portefeuille équipondéré. Entre les rééquilibrages, les pondérations de chaque titre peuvent varier. Les frais de gestion facturés par Horizons ETFs Management (Canada) sont de 0,5 %, sans compter les dépenses d’exploitation. Horizons ETFs has launched the Horizons Inovestor Canadian Equity Index ETF (INOC CN) on the Toronto Stock Exchange (TSX). The ETF gives access to Canadian equities that offer high exposure to the value and quality factors. The fund, listed on TSX, offers exposure to high-quality companies with attractive valuations. The ETF tracks the Nasdaq Inovestor CanadaIndex, which was jointly designed by Nasdaq and Inovestor. The index provides exposure to 25 high-quality Canadian large-cap equities that are reasonably priced and receive the best rankings using Inovestor’s proprietary stock selection model. Index constituents are equally weighted and rebalanced quarterly. INOC uses a six-step investment process that begins with screening the Canadian universe of stocks based on economic profit – a form of residual wealth that occurs when a company pays back its cost of capital from operating profit, adjusted for tax. Economic profit is one way of determining whether capital invested in a company has generated value for investors. Once the top 100 securities by economic profit are selected, sectors are weighted and the top 25 securities are selected using their StockPointer scores – a 50/50 combination of performance and risk metrics. INOC has annual charges of 0.50%.